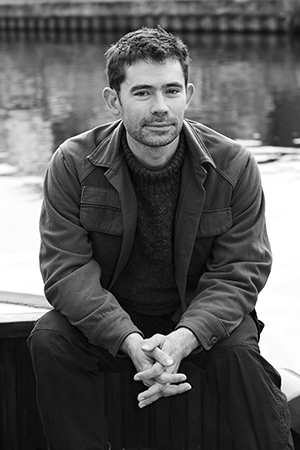 Writer Adam Weymouth photographed on his barge in Hackney, London. Adam Weymouth’s work has been published by outlets including the Guardian, the Atlantic and the New Internationalist. His interest in the relationship between humans and the world around them has led him to write on issues of climate change and environmentalism, and most recently, to the Yukon and the stories of the communities living on its banks. Kings of the Yukon is his first book and it was named the Lonely Planet Adventure Travel Book of the Year. Adam was the winner of the Sunday Times Young Writer of the Year Award in 2018.